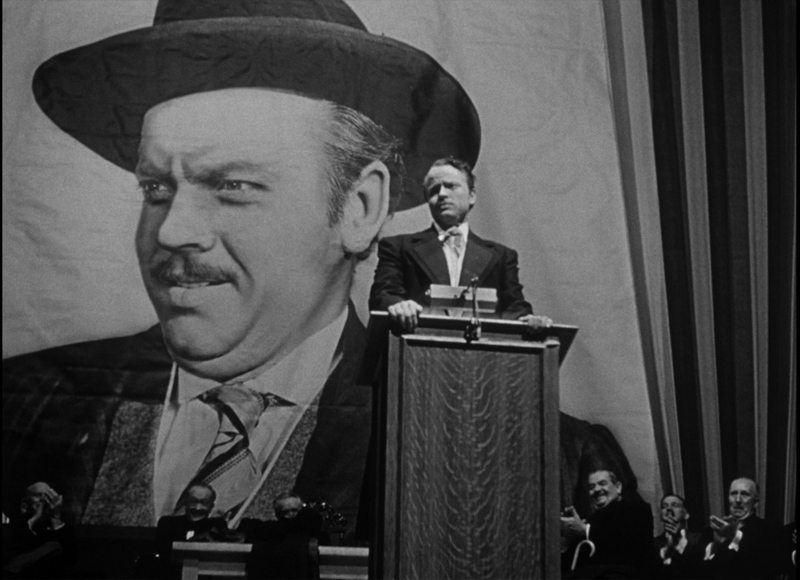 Today, for the 75th anniversary of Citizen Kane, I am announcing Mirrors of Kane. This brand new video series is my first since Journey Through Twin Peaks concluded a year and a half ago. The first chapter, which should appear in the next few weeks, will debut on Fandor Keyframe, while the rest will be hosted on my personal YouTube/Vimeo channels. The series will be structured around the five "narrators" of the film, who inspire its flashback structure: Walter Parks Thatcher, Mr. Bernstein, Jedediah Leland, Susan Alexander Kane, and Raymond the butler. It's based on an essay I wrote in 2011 but will also expand the scope of the analysis by, in the final chapter, digging into the structure of the film including its striking efficiency as a "ring composition" (written about by Mike Klimo with regards to the Star Wars saga). It will also incorporate criticism of the film that I do and don't agree with - I'm really looking forward to engaging with this material visually, something I've already begun with the first chapter which is finished and awaiting its premiere on Fandor. And of course, I've also created the above trailer, which is available on YouTube and Vimeo. If you like it, please share - your word of mouth will be the main way people discover this series and join the conversation. Most importantly, I want to highlight the human pulse of Citizen Kane, a film that is too often celebrated as a purely technical achievement. As such, it can seem intimidating and/or alienating to many viewers, something to admire from a distance rather than invest themselves in emotionally. As a narrative analysis, these videos will pay attention to the subtle ways character, camera, and cutting intertwine to tell a series of "short stories" about Kane (and also about the storytellers themselves) which coalesce to form a rich, intricate tapestry. Update: I originally planned to continue the series through the spring and early summer and included a schedule/directory here to link all of them. However, after Chapter 1 the project was postponed so the directory will reappear when the other videos are ready.